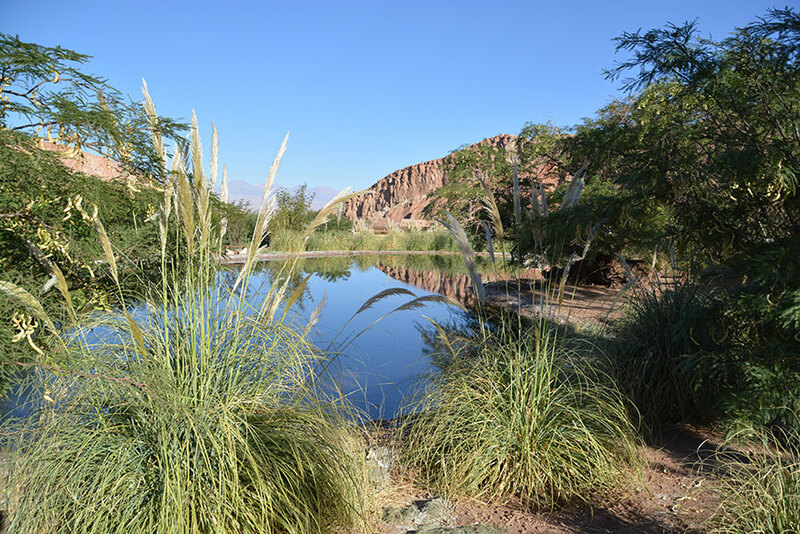 Welcome to Alto Atacama | Out of Office. OOO YEAH! We´ve already told you a lot about our dusty daily bizz in San Pedro and the adventurous trips around. 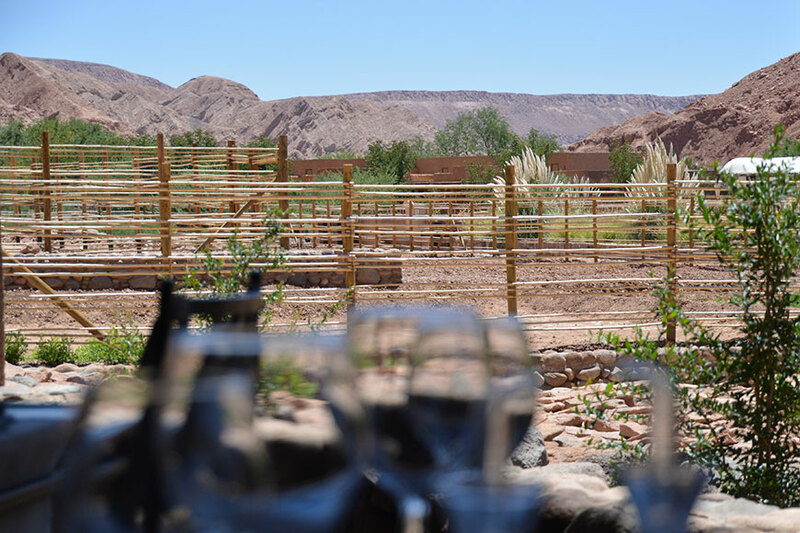 But there was another gorgeous place we were lucky to visit while we were at Atacama Desert: The Alto Atacama desert lodge & spa. 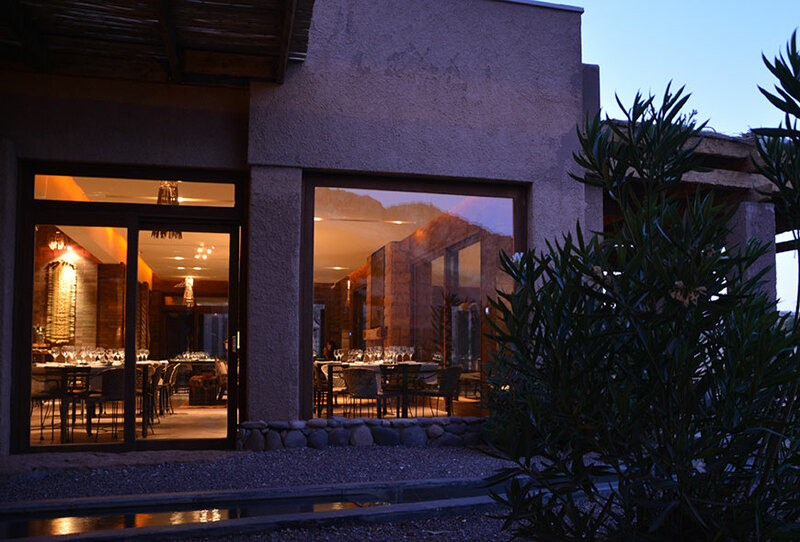 As you can imagine, especially after spending the last days at quite basic accommodation in Bolivia, we were really looking forward to the one-day-one-night-invitation to Alto Atcama as the lodge was #1 Luxury Travel Lodge in Chile within the Trip Advisors Reader´s Choice Awards of 2013. 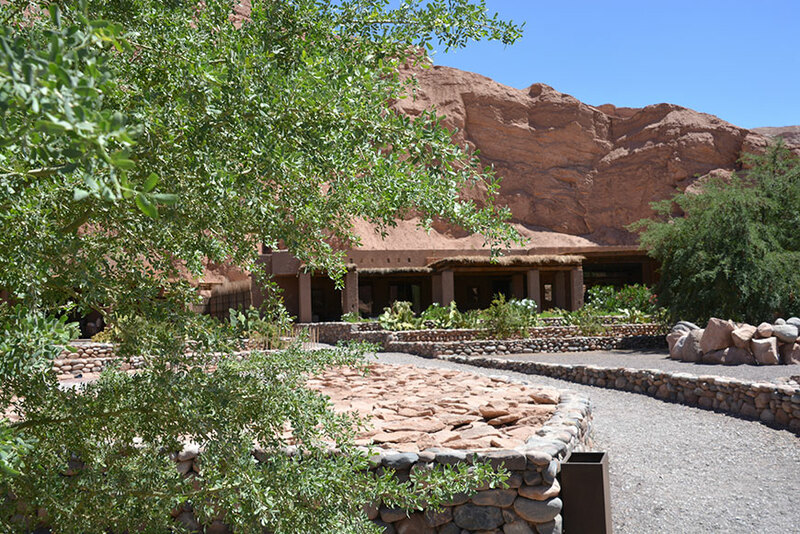 Yet arriving at the lodge feels like diving into a new sphere of the desert. 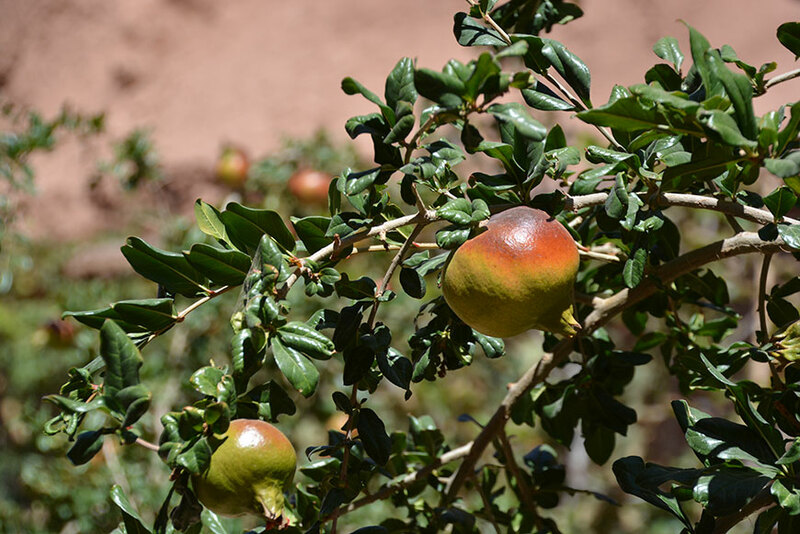 The hotel complex is completely enveloped by natural surroundings, seated within the Catarpe Valley close by San Pedro. 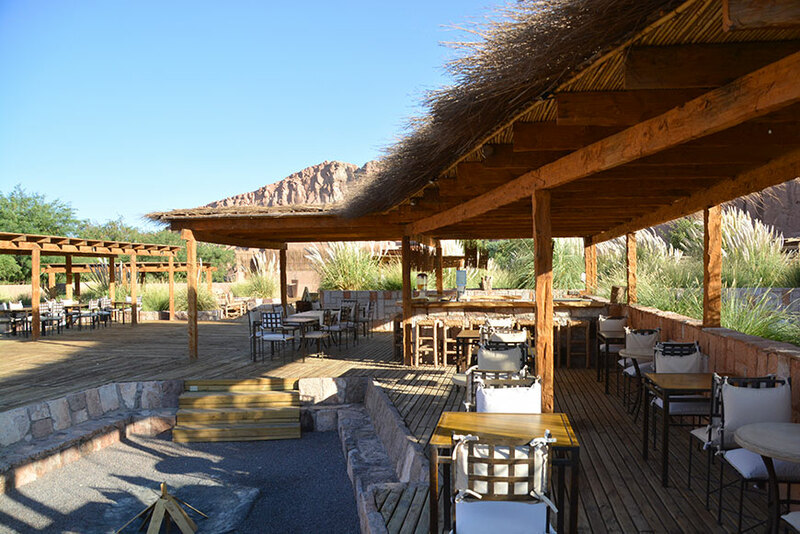 It is part of the concept of Alto Atacama that it blends almost seamlessly into its environment – not only with an unobtrusive design but also with its cultural and also environmental sustainability approach (which is not far developed in Chile until now). 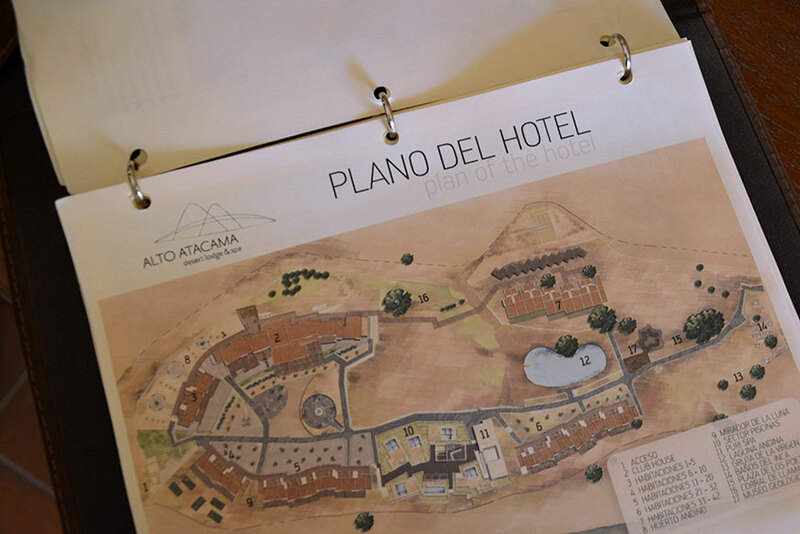 Well, before going to Alto Atacma I asked myself what to expect from a perfect stay in a desert? There were three benchmarks that came into my mind: tranquillity, good food and new mental stimulation. 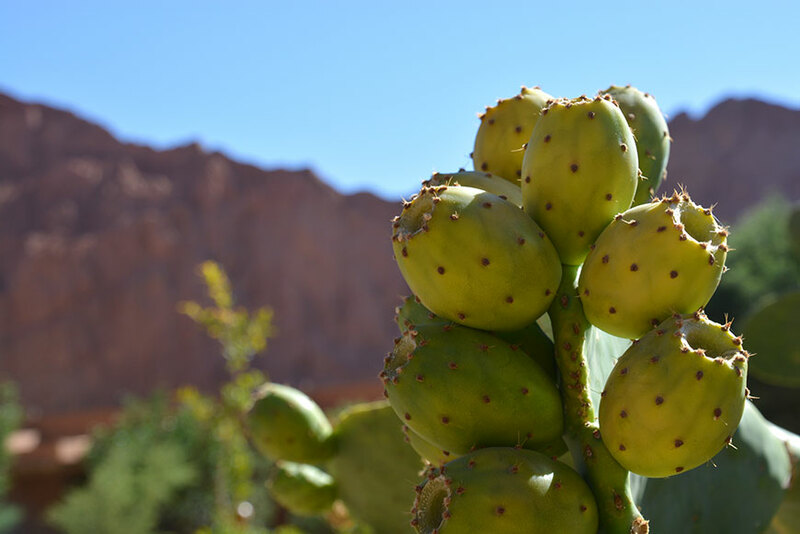 And yes … at Alto Atacama we´ve got plenty of each! The Salar de Atcama, of course, is by itself a perfect setting for an extraordinary accommodation as it guarantees pure silence and breath taking views – to escape mentally and relax easily. 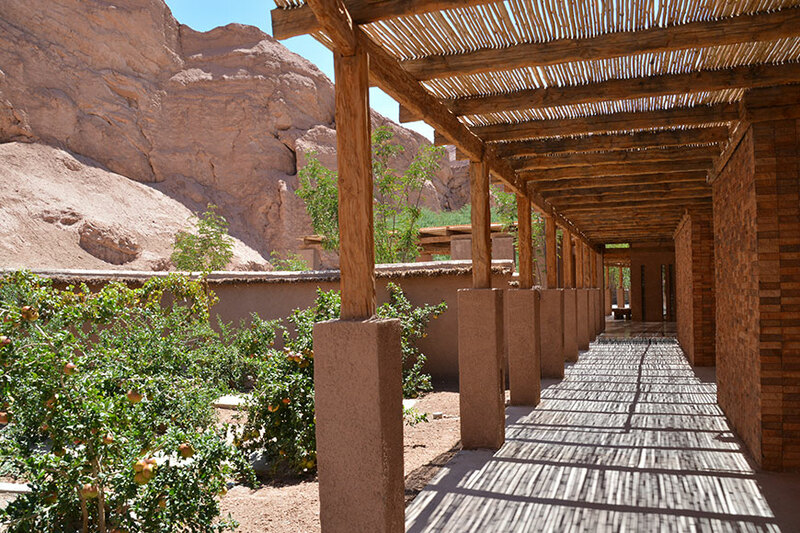 The first-class facilities of the Alto Atacama lodge with its precious, cosy rooms and the huge spa area with several private pools make their own contribution. Part of our invitation to the lodge also was a full-board service meaning that we had more than enough time to enjoy the exquisite local cuisine. 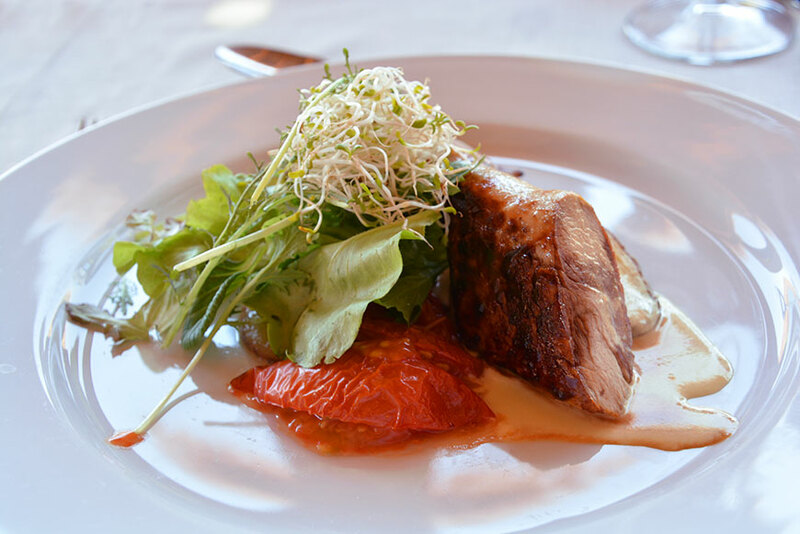 Remarkable Chilean vines always rounded up the dinner. 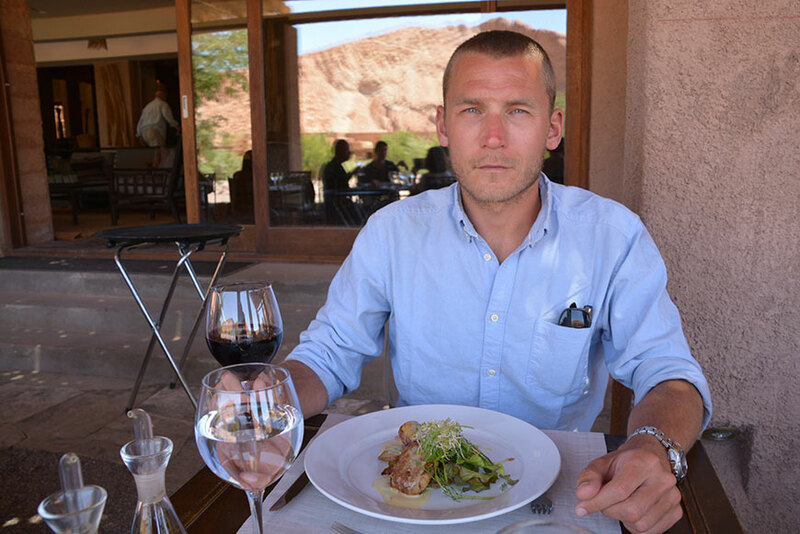 I felt in love with the tasty fresh Sauvignon Blanc and Henryk tried a great Cabernet Sauvignon. The perfect starter before dinner was the traditional Pisco Sour. Soul food as its best! 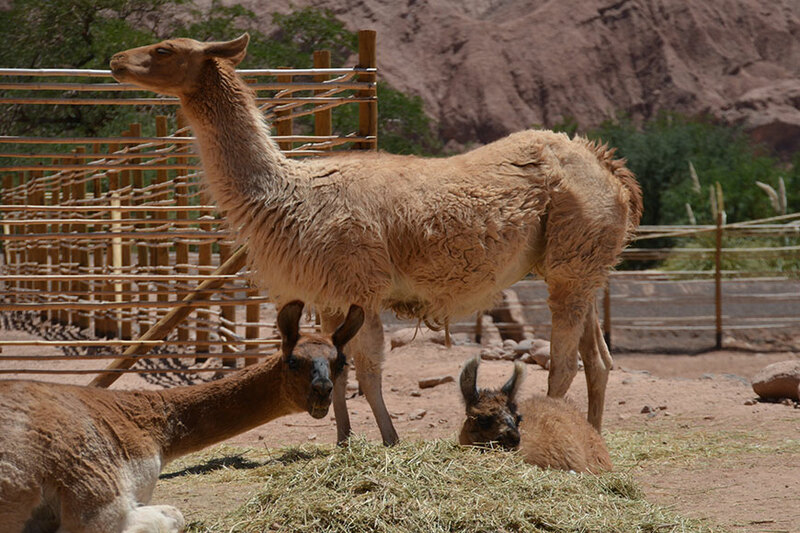 While our stay at Alto Atacama we were lucky to meet Veronica Poblete. 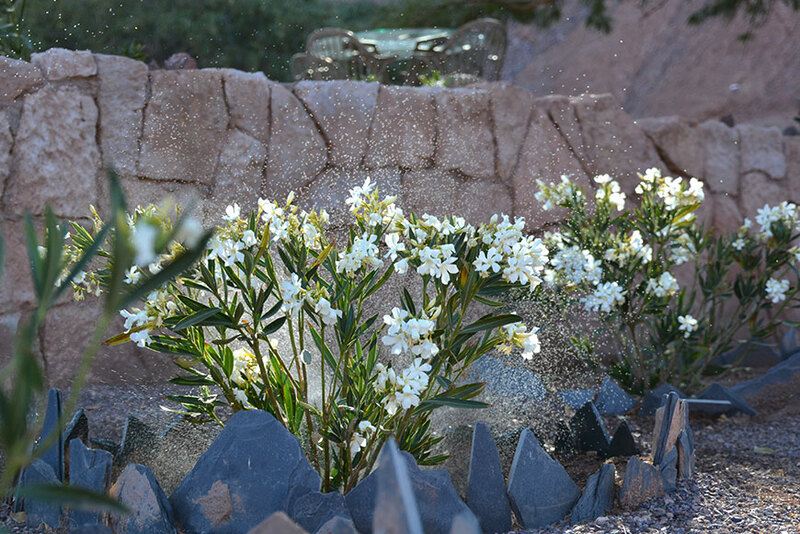 She is landscape designer and the botanist who has developed the special Andescape floral concept using local plants and ancient agricultural techniques within the lodge´s garden. It took her lots of years to plan, obtain and finally build up the garden as it is right now. 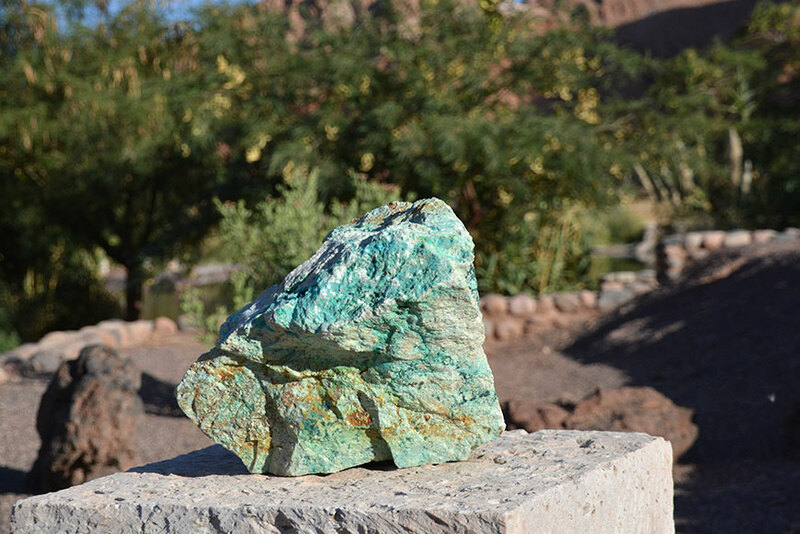 While our one hour walk through the diverse rock formations, underneath shady old trees and along the small laguna Veronica Poblete told us a lot about all the plants, the day-to-day botanical challenges within a desert and also about her new project, the metal path with an artificial translation of ancient rock painting into metallic wall designs. “This garden is like an ocean upside down”, she said and smiled … so complex, so in depth. This meeting was more than just mind opening, it was pure inspiration. It feels so great to listen to a person that really loves her profession, talking about the trees and bushes as her children. We are convinced that this garden will grow up beloved. 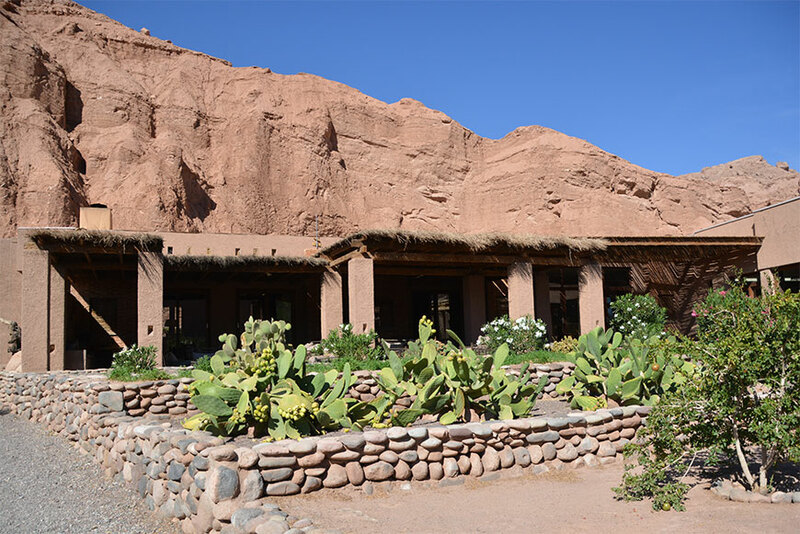 Last but not least there is a variety of excursions offered by the hotel every day as the guests of the Atacama region wants to experience the lunar-like scenery around not only by distance (although there are alpacas and llamas quite close). As we did several active tours before and didn´t have plenty of time left we decided to join a stargazing tour at night. The Atacama Desert with its high altitude and a complete absence of any environmental pollution is home to several of the most powerful observatories on the planet and is considered to be one of the world’s premier stargazing destinations. Last year, when visiting an exhibition at the Boros Bunker in Berlin we saw an artwork of Thomas Ruff based on original photographs from the ALMA observatory, the largest astronomical project in the world located near San Pedro de Atacama, and the whish grew to go there once. Unfortunately it is not possible to visit the ALMA as private person – but that night at Alto Atacama we were perfectly guided to see Jupiter, the Milky way and further, smaller galaxies, the Southern Cross, Orion and many more. It was a perfect night to highlight a perfect stay. Please note: This review based of an invitation by the hotel. But it still reflects the veridic opinion of the authors. The co-operation partner did not influence the content.